Senegalese rap duo Keur Gui have released a brand new single entitled Marginals lamenting that “we are the ones who dream to get out of this gully”. 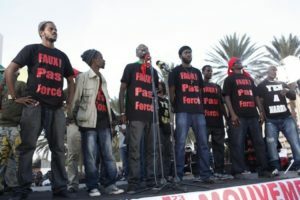 The socially conscious rap group with members affiliated with Y’En A Marre have consistently used music to express the hardship that Senegalese and African youths face against the oppressive Political class. They famously came up against Senegalese President Abdoulaye Wade in their song ‘Faux Pa Force‘ where they advocated for Senegalese people to vote him out of office. 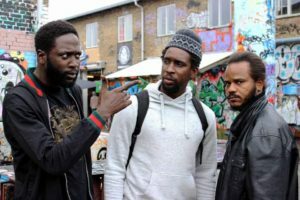 Y’En A Marre has played an influential role in advocating against Gambian President Yahya Jammeh and have inspired Gambian musicians to take on a socially conscious perspective in their music. 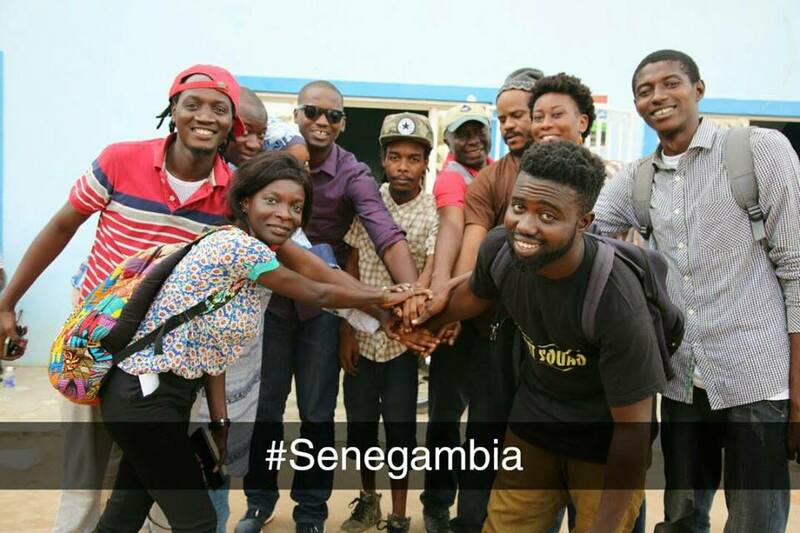 During an unprecedented trip to The Gambia in December 2017, Keur Gui rapper, Thiat stated “Our whole project is about the new kind of Senegalese. Like get rid of the bad habits we are used to have which is accepting the corruption. You are also part of the problem.” This message is consistent with the struggle for a NewGambian determined to achieve a NewGambia. Old habits like corruption, collusion and elitism will only reap the same results, huge debts and gross disparity between the rich and poor. In Africa, if someone steals a goat or a chicken there will be all out war when caught. Some of the punishment can be extreme to ward off future thieves in the community. I don’t condone taking the law into your own hands as the right thing would be to allow the Police to deal with thieves. On the other hand, theives who steal from taxpayers rarely face the same wrath as the chicken or goat thief. And so, many Africans have learned that the biggest thieves continue to be chauffeured in air-conditioned 4x4s, shuffled between offices and conferences with fabulous food and entertainment. Our blase approach to corruption needs to change. Many corrupt leaders are never held accountable in Africa for corruption. Instead, they are held accountable in European courts where they continue to send our money into international bank accounts leading to capital flight. All this is at the expense of the African masses, some of which have paid taxes all their life. This only leaves the continent penniless with huge debts that can only be described as ‘Odoius’. These habits need to change if the ‘Marginals of Africa’ are to stand a chance for survival. As we work on changing these habits, it begs the question ‘where do the unlucky African youths run to?’ At home, they face corruption which they cannot benefit from if they are not in with the Political or Elite class. If they engage in the same style of Politics then they end up killing dreams of others. This quagmire that marginalised youths face has fueled the illegal migration routes across the Sahara Dessert and the Meditterenean seas. Unfortunately, the reality is that many youths face a 50-50 chance of a successful life in Europe and a life cut short by the Shara desert, rebels in North Africa (especially Libya) and the deadly Mediterranean Seas. Something has to give for the unlucky ones to turn their luck around. Do we hold our corrupt leaders accountable to ensure there are more opportunities for the marginalised or do we continue keeping our head in the sand with the hope that things will change? We are the ones who are unlucky. To get out of this gulley. Of incessantly quarrelling with the ticket agent who constantly increases the price of transport. And until now nothing is done. THIAT: These incompetent political leaders who are just fumbling have abandoned us. The system has condemned us, we are subscribers of misery. The conditions are precarious, we struggle to find something to eat. Delinquency is gaining ground, there is no den and it is an arm-wrestling match to find a job. They put us to sleep with wrestling and dance as sleeping pills, tiredness and misery go hand in hand. They surf on our misery, we sink into the gulley. We are struggling to find something to eat. Our needs are not their priority. Our sisters who are pregnant. Our leaders are the cause of all this. We have no way of getting out of it. We do not lack willpower but we have no solutions. We are the ones they brutalize. Only poor people languish in prison. From Diouf, Laye to Macky it’s still the same system. Only the son of the president dares to seize the money box of the ANOCI. The moms are fed up of going back and forth in the parlours. The only youth activity is drinking tea and transforming the street corners into a dormitory. We are the sacrificed generation while we were supposed to represent the hope.